It seems that Belle always has her nose in a book, filling her imagination with adventure, but this time the book-smart beauty begins her own timeless tale when she meets the Beast. 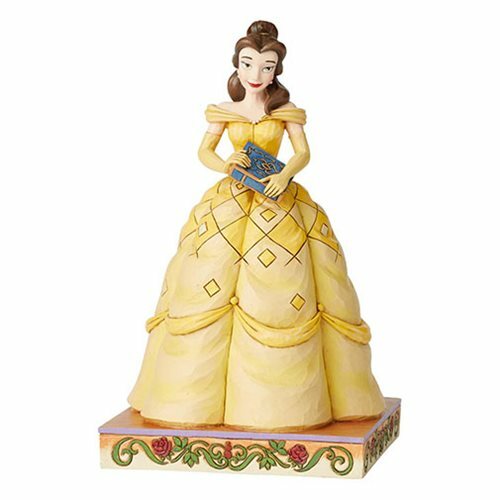 In this lovely Disney Traditions Beauty and the Beast Passion Belle Statue, Belle wears her classic gown and holds a book in her hands. 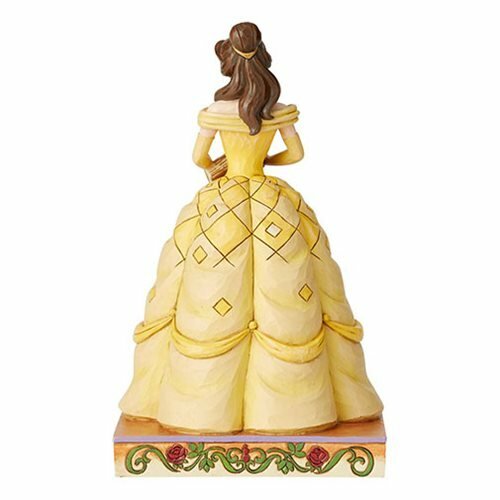 Measuring about 7 3/4-inches tall x 4 5/8-inches wide x 4-inches long, it's made of stone resin.